Just a nice photograph today. This reindeer was photographed near Retkeilykeskus. 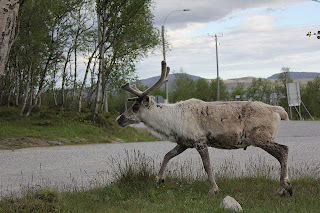 Reindeer near the accommodation in Kilpisjärvi. Photograph by Joona Keskitalo.